Barbara Yeaman eases her kayak into the clear waters of the Upper Delaware River, a river she cares deeply about, and one she has worked hard to protect. Eighty-seven years of living haven’t diminished her desire to be on the water she loves; in fact, her determination to do what she can to conserve this magnificent resource has only increased and inspired others to join the cause. As Yeaman paddles she makes steady progress, much as she does in the conservation work she began more than 17 years ago when she realized that in order to protect the Upper Delaware River, she would need to first protect the lands comprising its watershed. Yeaman knew she would have to make strong strides against the tide of development sweeping across the region. She explored establishing a land trust—an organization that permanently protects land by working with landowners willing to donate or sell their development rights, thereby placing a conservation easement on their property, a legally binding agreement that permanently limits uses of the land in order to protect its conservation values. It allows landowners to continue to own and use their land, as well as sell it or pass it on to heirs. In the early 1980s, when Yeaman bought her home on the Delaware River in Wayne County’s Milanville, PA, the National Park Service was drafting its management plan for the Upper Delaware River and encountering strong private property rights opposition. Some residents feared their properties would become worthless. Yeaman believed that preserving special lands, wildlife habitats and prime scenic parcels would make the region more attractive, but sensed the need for a unique preservation tool. She felt that starting a land trust was the answer. With the help of a dedicated group of volunteers, Yeaman founded the Delaware Highlands Conservancy (DHC) and immediately put its mission into practice by placing a conservation easement on her own 12 acres. “We cut our teeth on my easement, to prohibit further subdivision,” she says. Today, the conservancy works with willing landowners to conserve the natural and cultural heritage—including forests, farms, water, scenery and open space—of the Upper Delaware region. Through conservation easements, it has protected more than 13,000 acres in the Upper Delaware River Region. In response to overwhelming interest from regional landowners, the DHC now maintains offices in Hawley, PA and Monticello, NY. Yeaman has continued to lead and serve the DHC in multiple ways over the years, from president to land protection chair to publicist to graphic designer. For nine years, an all-volunteer board of directors managed the DHC. As the organization has grown, an executive director was hired, followed by two land protection specialists and a stewardship and education coordinator. Yeaman’s positive impact on the Upper Delaware region, and its land, has been enormous and continues to grow. In 2010, at the vibrant age of 86, Yeaman became active once again on the DHC’s board, serving as the organization’s vice president and volunteering on its outreach and development and gas committees. She has continued to meet with prospective supporters of the DHC and landowners considering conservation options, and she helps to monitor easements. The DHC’s accomplishments under Yeaman’s inspiring leadership are significant—a group of volunteers led by an inspiring senior creating a regional land trust from nothing, working to protect thousands of acres, hosting educational programs, assisting in regional planning and increasing awareness about the conservation options that will protect quality of life throughout the region. In addition, the DHC maintains The Butterfly Barn, a nature center in Milanville, where programs educate children and adults about how to care for the land and waters of the Delaware Highlands. An avid puppeteer, Yeaman hosts interactive children’s programs that teach about the region’s flora and fauna. The DHC also awards two college scholarships to local high school students interested in environmental studies. To recognize Yeaman’s significant work, in 2007 the Pennsylvania Fish and Boat Commission bestowed on her its Ralph W. Abele Conservation Heritage Award, the highest recognition provided by that organization to persons distinguishing themselves in the cause of conservation. Yeaman was born near Pittsburgh, PA. Her career took her across the U.S. before bringing her to the Upper Delaware River region 25 years ago. She has two children, son Bill and daughter Suzanne. The second major effort focused on achieving accreditation by the national Land Trust Alliance (LTA), which, according to Belcamino, involved “adopting a series of policies governing its finances, recordkeeping, potential conflicts of interest and other subjects, that bring us in line with the highest standards and best practices of land trusts nationally.” If all goes well, the DHC will receive accreditation in late 2011. “Being an accredited land trust will help us in applying for grant funding, will ensure that we are operating in compliance with the best practices of land conservation, will aid in fundraising and will give us credibility within the land conservation community and with our current and potential partners,” says Belcamino. In addition, the DHC closed on a new easement of 104 acres in Sullivan County and has completed substantial work on several others expected to close in 2011. It also sponsored or helped coordinate over 40 initiatives over the past year, including producing the third edition of the “Shop Local, Save Land Guide to Farms and Farm Markets” (www.shoplocalsaveland.com). The DHC welcomes new members and is seeking volunteers to support its work conserving the Upper Delaware River region. Opportunities exist to organize outings, assist at events, map and monitor easements, draft grant proposals, write newsletter articles and press releases, sponsor fundraising events, provide general office support and more. Visit www.delawarehighlands.org or call 570/226-3164 for more information. March 24 – Volunteer Training, Sullivan County, NY, 7-9 p.m.
March 26 – Volunteer Training, Wayne County, PA, 9-11 a.m. Learn about the important roles and responsibilities that the “stewards of the land” have in making the DHC a successful organization. New and old volunteers, current board of directors and land protection committee members will learn to monitor properties, as well as the policies and procedures of the conservancy. March 30 – Financial Benefits of Land Conservation, Hawley, PA 7-9 p.m.
March 31 – Financial Benefits of Land Conservation, Bethel, NY, 7-9 p.m.
Landowners will learn how to keep cherished lands in the family and protect the landscape in perpetuity. Information on conservation and agricultural easements will be presented. March 31 – Realtors Workshop, PPL Learning Center 8 a.m. – noon. The workshop is specifically geared toward the real estate professional and will provide information on septic systems, wetlands and floodplains as well as information on impacts of land development on water resources, protecting drinking water and planning initiatives that are ongoing in PA’s Pike and Wayne counties. For more information or to register call 570/251-9335 or 570/296-4042. April 2 – Emily Dickinson’s Garden, PPL Environmental Learning Center, Hawley, PA 1 – 2:30 p.m.
Join naturalist Ed Wesely for a virtual tour of the fields and streams that Emily Dickinson knew around Amherst, MA, and of the spring wildflowers that inspired her. April 16 – Pike/Wayne Earth Day at PPL, Hawley, PA 10 a.m. – 4 p.m.
Join the DHC and other local conservation groups for activities, entertainment and educational programs for kids and adults to celebrate Earth Day. Visit http://www.pikewayneearthday.org. April 30 – Foods of the Delaware Highlands Dinner, The Settler’s Inn, Hawley, PA, 6 p.m. This popular annual dinner celebrates the Upper Delaware River region by featuring delicious cuisine prepared with locally grown and produced organic ingredients, paired with appropriate fine wines. May 6 – Spring Skies Star Watch, The Butterfly Barn, Milanville, PA, 8:30 p.m.
Local astronomers will share their telescopes and sky charts to observe deep sky objects and locate the constellations. Bring binoculars and folding chairs. Join the DHC at Woodloch Springs for this fun—and fund—raiser. 2007 – Number of conservation inquiries increases rapidly (70 this year alone). By year’s end, the DHC closed on nearly twice as many easements as any prior year. 2007 – DHC featured in the documentary, “Nature’s Keepers,” examining Pike County, PA’s conservation legacy. 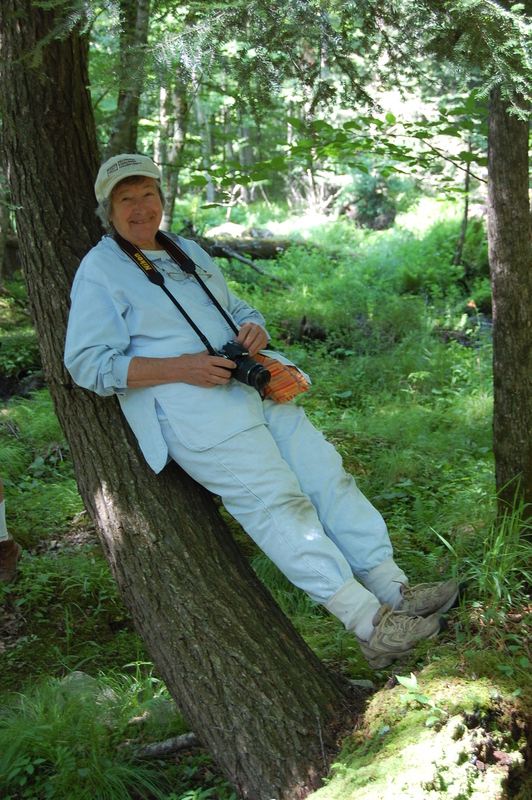 2008 – Pennsylvania Fish and Boat Commission selects Barbara Yeaman to receive the 2007 Ralph W. Abele Conservation Heritage Award. Yeaman is only the second woman ever to receive this prestigious recognition.